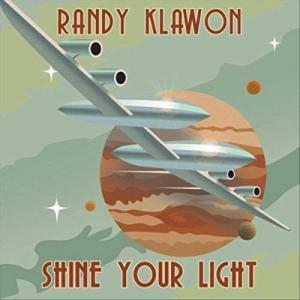 CD Review: Randy Klawon's "Shine Your Light"
Veteran guitarist, keyboardist, and song writer, Randy Klawon, has been around the block... a couple times over. A Mentor, Ohio, native who became a member of The Choir in 1968 - joining his brother Dan in the band that would eventually morph into national hit makers the Raspberries - Klawon has played it all: originals and covers, the British Invasion, progressive and punk rock and now? Original Cleveland power-pop! He has toured the Midwest bar circuit, recorded at Columbia Studio in New York City and toured up and down the west coast. That is a lot of experience to draw from, and it all shines through in Klawon’s new solo CD titled Shine Your Light, recorded in his home studio (dubbed Panic Studio) and featuring a whopping 22 songs of mostly guitar-orientated power pop. Nearly all the tracks were recorded within the last two years and specifically for this release, while “four or five” of the songs were written previously and carried over to the new sessions. The opening track, “Tired Feeling,” sets the mood immediately, not in the lyrics per se, but in the Beatle-esque simplicity of the song and warm, friendly vocal style from Randy... it’s beautiful. The following title track certainly backs that notion up and sets the tone for what is to come; track after track of warm, deep-feeling lyrics and accomplished musicianship, not to mention clean production values that sound like they were recorded at the Record Plant in New York City, not tucked away in a small “home recording” studio in Ohio. A very professional production, indeed. Another interesting track, titled “Debbie,” is a (sort of) remake of an old 50’s song called “Nancy.” A catchy, upbeat pop song that Klawon heard on an oldies compilation disc and turned it into an ode to his wife, a creative, romantic highlight, no doubt. Other favorites for this reviewer include “Every Name In The Book” which on the surface sounds like a negative message, but in fact, it’s a happy one, an unorthodox love song in the vein of Todd Rundgren: “I called you every name in the book... my book of love.” Additionally (and quite frankly), all the “tube-driven amp” guitar-fueled numbers are great, including “Face The Fact,” “Revelation 12,” “Brand New Day,” and “Ain’t Got You.” All are fun and really rockin’ out! Just so you understand, Randy Klawon is an Ohio-rock treasure, a hidden gem that brushed up against fame-and-fortune back in the day, but maybe not quite enough to become a so-called diamond. However, to the artist’s credit, his love of music and his craft truly shines through in the end and he is lucky enough to have his own comfy home studio in which to create the music he feels and believes, and who cares what any record company exec might think about it! That’s a pretty envious position to be in. And for good measure, the packaging is very cool, complete with liner notes penned by the artist and very stunning cover art. I’ll need to ask Randy who the artist is when we interview for my upcoming Standing Room Only feature about his extensive career. Stay tuned. To learn more about Randy Klawon, please visit https://store.cdbaby.com/cd/randyklawon.